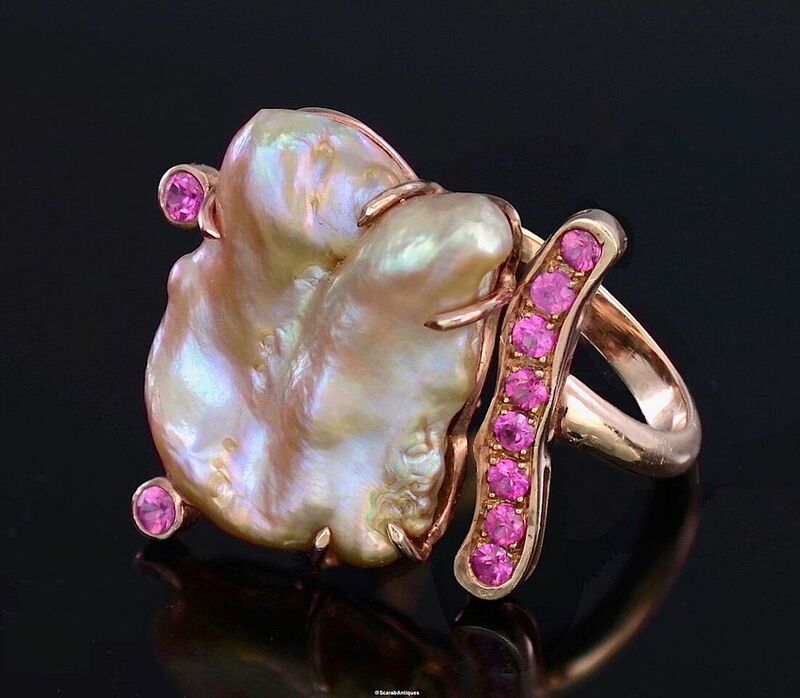 Another lovely ring from the TCH COLLECTION designed by Toma Clark Haines. 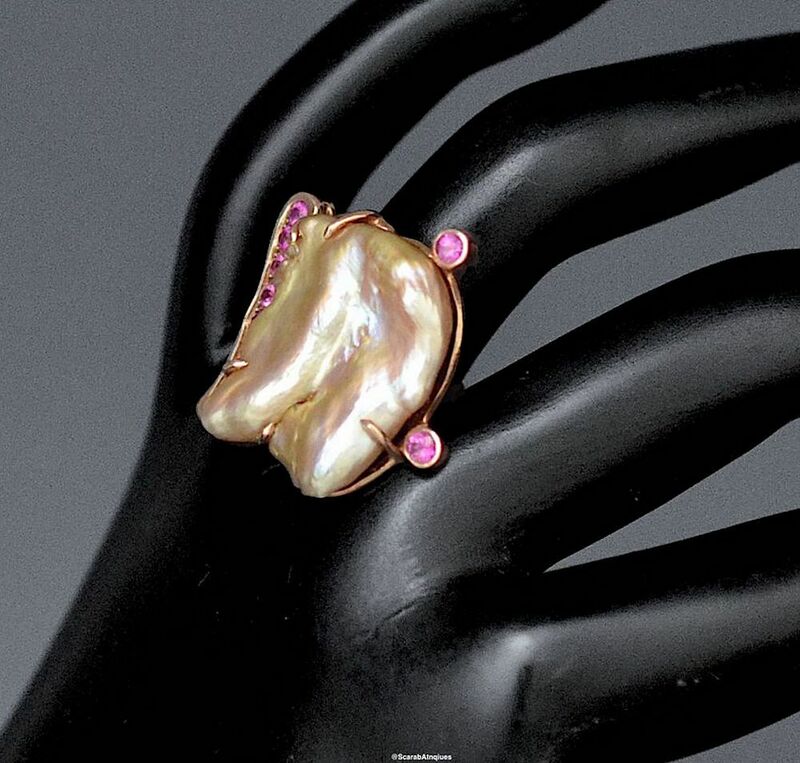 This ring is in 18ct rose gold vermeil and has a large flat undulating bronze/pink freshwater pearl claw set in the centre with round rubies set down one side and 2 other rubies randomly set around the edge. This ring is part of the Pele Male collection - a little bit of this and a little bit of that and a homage to Toma's years living in Paris.